Like agriculture, nursery management and landscaping demand persistence. Dave Bell of Bellville, Ohio has made a living selling trees and plants, as well as taking care of them for other people. His hard work and dedication in the horticulture industry epitomizes what many landscape service entrepreneurs continuously go through on the way to success. Dave lived in Mansfield for 27 years before he and his wife Jane bought their current property in Bellville in 1958. Dave selected this property because unlike other available tracts of land, this property was once a dairy farm – it was clean. Other properties were overgrown and not conducive to growing plants, so this property seemed to be the best fit for horticulture purposes. He mentioned that when the Bell’s accumulated extra money they continuously invested it into home additions. Original walnut beams from the old farm’s trees still reside in their living room and kitchen. Dave Bell’s father bought the first 159 acres, one acre which was a cemetery dating back to 1843. Little by little tracts of land were available for sale around this property. So, Dave purchased more land until he eventually owned 230 acres. The land was important to Dave because he intended to make a business out of his horticulture background. Dave wanted to raise Christmas and shade trees for a living; horticulture was the closest college major to what he wanted to do, at the time. 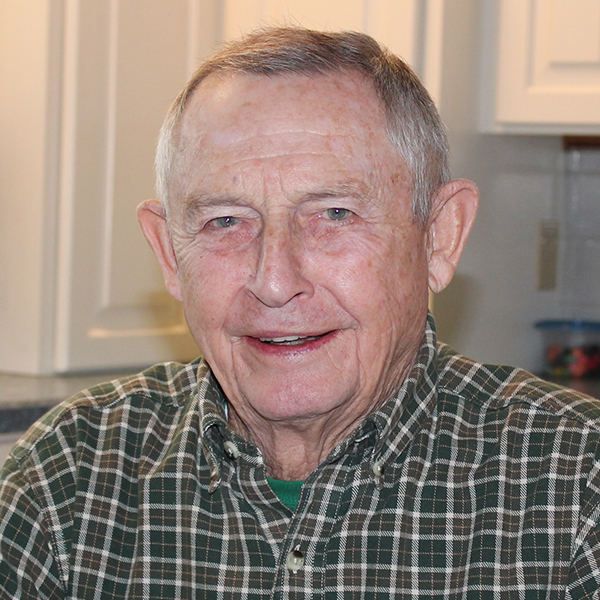 He graduated from college in 1955 and received his sales tax license in 1956. After college, Dave bought a sprayer and sprayed an orchard for five years – using entomology knowledge gained from school. Dave believes that his love for plants and nature is hereditary, his father was always in the woods or outside at some point. Dave was determined to make it in the Northern Ohio nursery industry. The Bell family was fortunate because they knew many local people. However, their first year of landscaping was hard; Dave and Jane talked to contractors and knocked on doors; they did whatever it took to get business. When asked about their reception among locals Dave explained, “Back in those days it was really good. We had a service that only a few other people were offering. We happened to be Johnny-on-the-spot, I guess.” Once landscaping jobs were contracted, as long as the Bell’s did a good job, they were re-hired. For at least ten years, the Bell’s put in 80-hour work-weeks. Gradually, the Bell family shifted from landscaping to nursery management by opening Bellwood Nursery in 1956. Plant varieties in which the Bell’s offered were dependent on companies that supplied them. They were supplied with the latest genetic modifications of trees like maples and oaks, which they in turn sold to their customers. Dave also mentioned, “I would plan like three or four years ahead. What am I going to plant? How many am I going to plant? Where am I going to put them? . . . that is why we had little plots here and there with different stuff.” The Bell family chose planting ground based on soil types and prior success. He also eluded that it was important to have genetically modified species of plants; native plants had far too many growing disadvantages in a competitive market. Because land management was so important to Dave, his conservation practices he employed over the years are evident. He manufactured grass strips in between rows of trees at the nursery and created buffer areas to help stop runoff containing fertilizers. Many nursery owners had to drain their runoff into a separate pond, but because Dave had buffer strips he did not. In addition, instead of spraying the whole field for pesticides, Dave sprayed individual plants; this technique also cut down on runoff pollution. Charity and horticulture do not often go hand-in-hand; however to the Bell family, they do. Dave and Jan manage a greenhouse specifically for their garden. Today, they raise roughly 175 green pepper plants, 175 tomato plants, 3-4 pounds of sweet corn and 1,020 hills of potatoes. Dave admitted he does spray for bugs; having bugs in a garden is inevitable unless spraying is implemented. So, one can only be so organic before it is inefficient. Through long 80-hour work-weeks and grueling sweat the Bell family successfully created a nursery and landscaping business from the ground up. Th eir family business history is not only a testimony to their entrepreneurial persistence, but it is also an important story in Richland County conservation.